For over a century, the attorneys at Powell Law have helped victims of medical malpractice recover damages for their injuries. Properly litigating a professional malpractice case ensuring that our clients complete and total recovery of their losses is always the first and foremost priority of the experienced personal injury and medical malpractice attorneys at Powell Law. Like any other medical professional, a dentist’s failure to diagnose a dental or oral health condition may constitute an incident of professional or dental malpractice. However, a legal claim based on an incident of dental malpractice claim must be based on a dental professional acting in such a way that he or she violated the acceptable standard of dental care. A claim may not be brought based on a dental treatment’s lack of success or a patient’s dissatisfaction with such treatment. Improper administration of anesthesia (wrong dosage, wrong type, improper management, induction or failure to induce). A mistake by a dentist or dental hygienist may result in serious injuries with long-term effects. Dental malpractice may result in lingual nerve injuries, jaw injuries, with effects like pain and numbness that may be temporary or permanent. Injuries to the lingual nerve may affect a person’s ability to taste, as well as cause permanent numbness in the tongue. Pain and sensory changes due to lingual nerve injury are one of the most common alterations that follow surgical removal of a patient’s third molar. Thus, patients who suffer injuries as a result of dental malpractice may file a claim for failure to meet the reasonable standard of care. 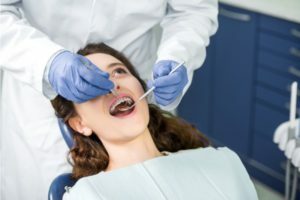 Also, dental patients may file a dental malpractice claim if the dental care provider either failed to obtain a patient’s informed consent or exceeded such informed consent. If you require legal counsel and assistance in litigating a claim for damages resulting from a personal injury based on dental malpractice, contact Powell Law. We are experienced in fighting insurance companies to assert the rights of our clients. We are also experienced in helping our clients justly and fairly settle their professional malpractice matter. If you or a loved one has suffered any type of injury, especially as a result of medical malpractice, contact Powell Law at (570) 961-0777. Our decades of experience make us the preferred choice for representation in personal injury and medical malpractice matters in the Scranton/Wilkes-Barre and surrounding areas. Our attorneys, past and present, have represented victims for 113 years. The consultation is FREE and you don’t pay anything unless we win your case. Call today.